In what year did Martin Guitars officially introduce the "M" body shape otherwise known as a quadruple 0? 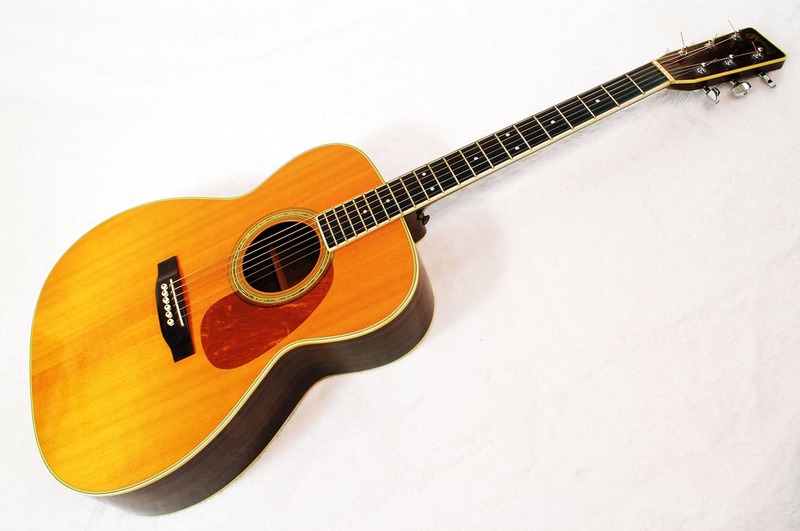 The "M" body shape was introduced in 1977 largely due to a very special guitar that was owned by David Bromberg and worked on by Matt Umanov. David Bromberg, back in 1967, brought a Martin F-7 archtop guitar to Matt Umanov in need of repair due to it's smashed top. David wanted it converted to a flattop guitar. This idea came from Marc Silber, who in the earlier 1960s, via his guitar stores in Berkeley and New York, had the thought to take a 1930s Martin F-9, a top-of-the-line archtop F-hole guitar that he found (with a smashed top), and convert it to a flattop guitar. This infamous guitar that David Bromebrg had converted by Matt Umanov in 1967 then became the shining example and reason Martin introduced the official M body size 10 years later in 1977.